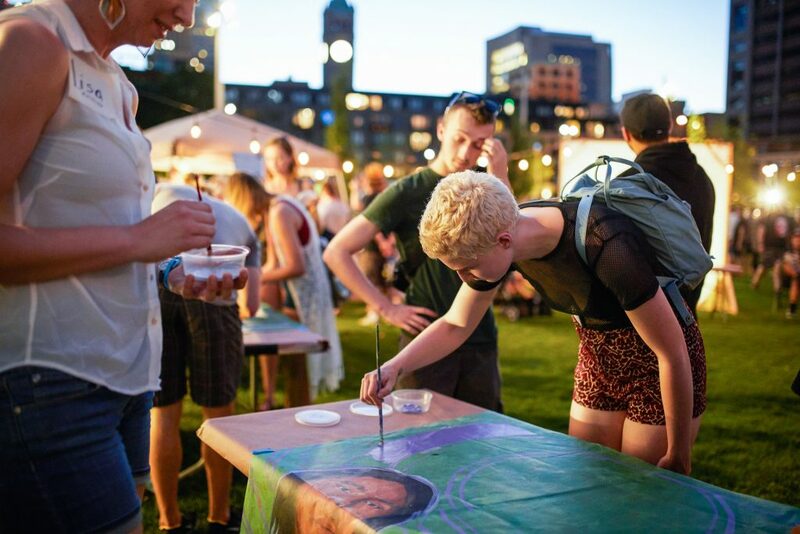 For Northern Spark 2017 GoodSpace Murals with MN350 and Indigenous Roots invited the audience at the Commons to paint. 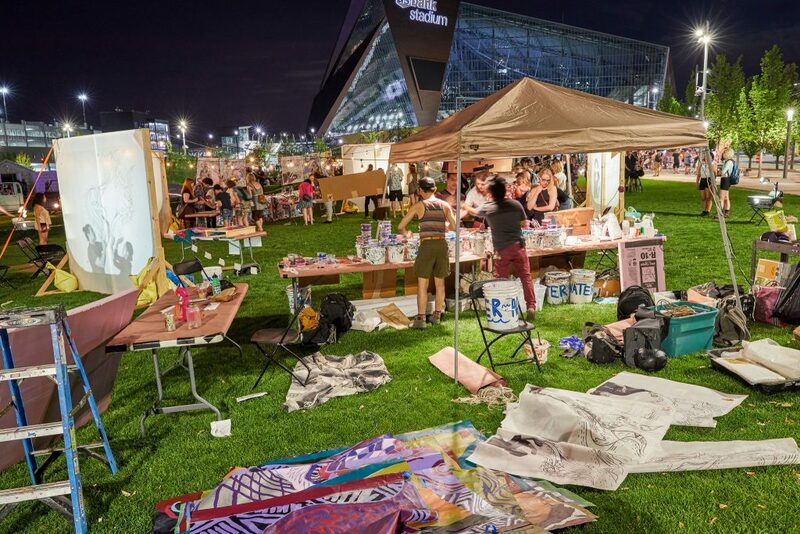 “We will be collaboratively painting large-scale water protector murals inspired by the youth-centered trip led by Indigenous Roots and MN350 to Standing Rock in fall 2016.” No painting experience or expertise necessary- we’ll walk you through the steps. 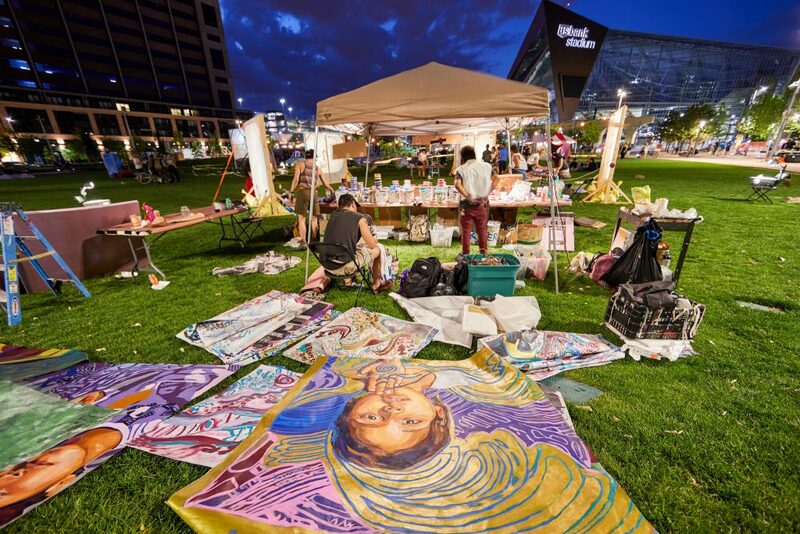 After Northern Spark the murals – painted by you! – will be installed all over town to remind us of the role that we play in protecting our water. Local Mexica group Kalpulli Yaocenotxli will open our space with a blessing at the beginning of the night and will rejoin us at sunrise as we raise 4 of the murals (with your help!) to meet the sun. We will also be joined by the Bohemian Press Print Collective who will be live-screenprinting water protector prints. Mural painting will happen all night. 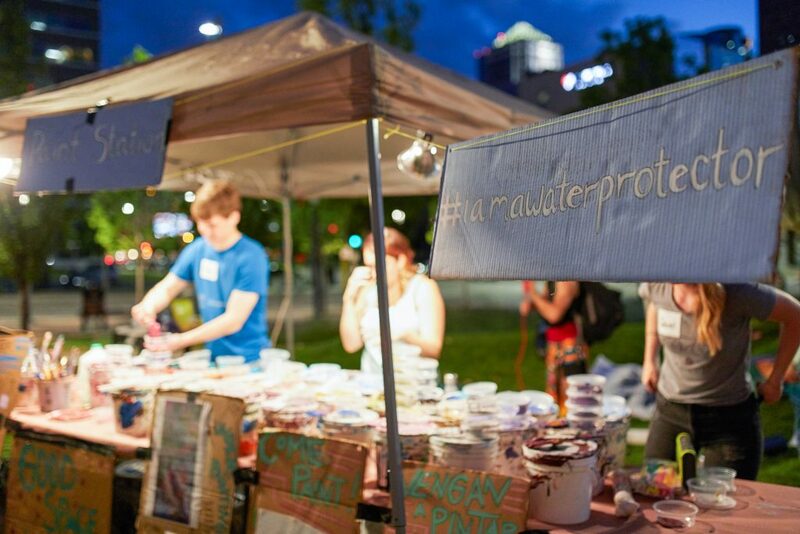 I Am a Water Protector was part of Climate Rising Collaboration (CRC), a set of projects that paired artists with organizations that work directly on issues concerning energy, environmental justice and climate change. 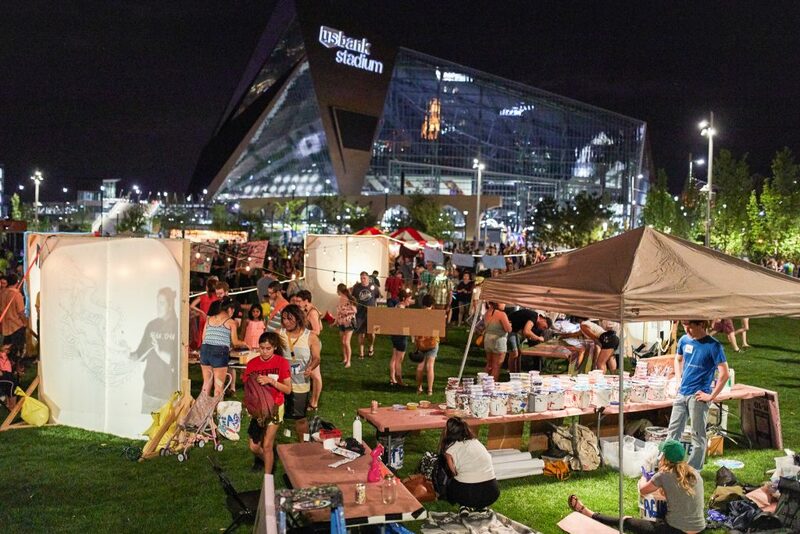 Festival artists and staff worked together to find connections while the organization lent its resources and expertise to help each project reach its zenith. CRC was generously supported by the McKnight Foundation. 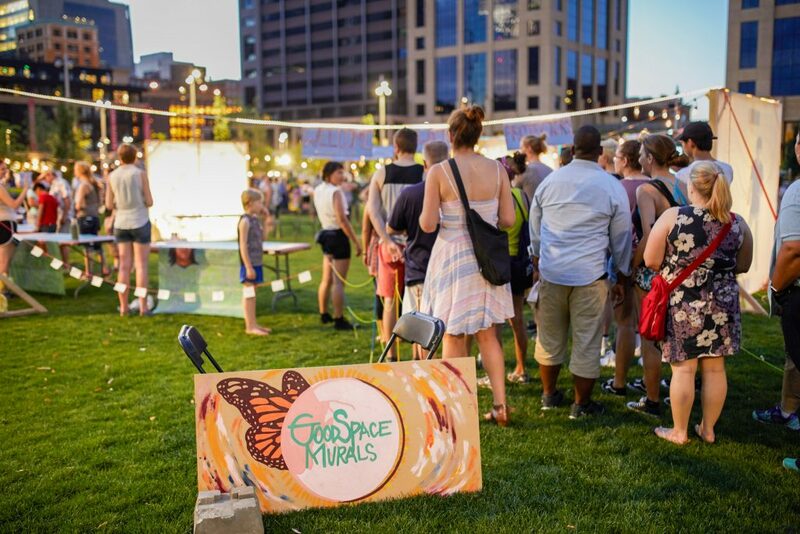 Since 2012, Greta McLain and Candida Gonzalez have been working together as GoodSpace Murals to create community artworks that focus on the power of the process as well as the product. 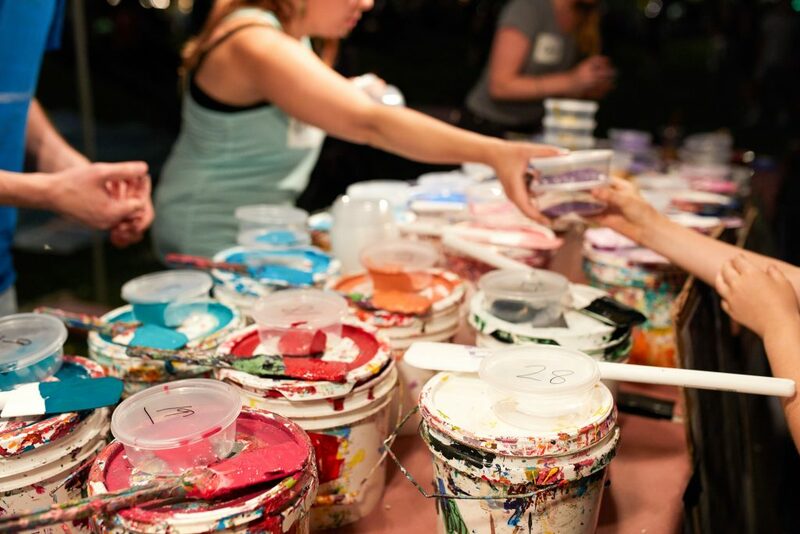 Through art-making they highlight the significance of free expression and the power of the visual voice!